As everyone gets into the swing of Chinese New Year festivities this week, you may be looking to do some spring cleaning of your own. Whether you’re embarking on a Marie Kondo-style overhaul of your apartment or just looking to be out with the old and in with the new in time for the Year of the Pig, you may be looking for a bedroom upgrade, namely, with a new and improved mattress. Fortunately for those in the market for a new bed, recently launched Hong Kong mattress brand Hush Home is offering customers quite the deal for all orders before 10 February: Part of its Home Detox Charity Campaign, customers get HK$1,680 off any mattress purchase, which includes white glove delivery, as well as the opportunity to donate any unwanted items (such as your old mattress) to Hong Kong charity Crossroads Foundation, which brings household essentials and furniture to countries in need all over the globe. You’re not restricted to donating your old mattress either; see here for everything Crossroads Foundation is keen to receive. Tailored for Hong Kong’s climate and homes, Hush Home claims to offer five-star hotel quality sleep — the brand uses the same manufacturers as five-star hotel brands such as Four Seasons, The Peninsula and the like. 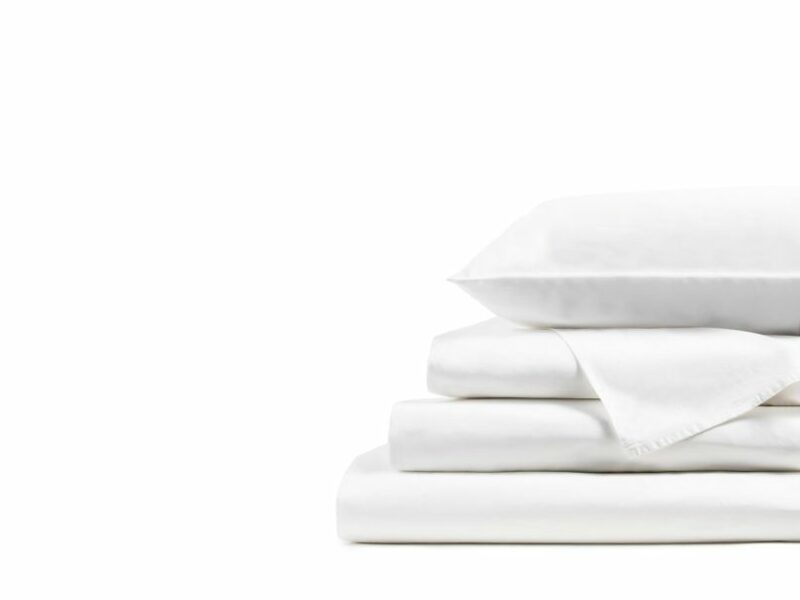 “Everything that we make is to the same level, and at the same time we sell our products to hotels and other businesses that need sleep products,” says co-founder Rick Chen. 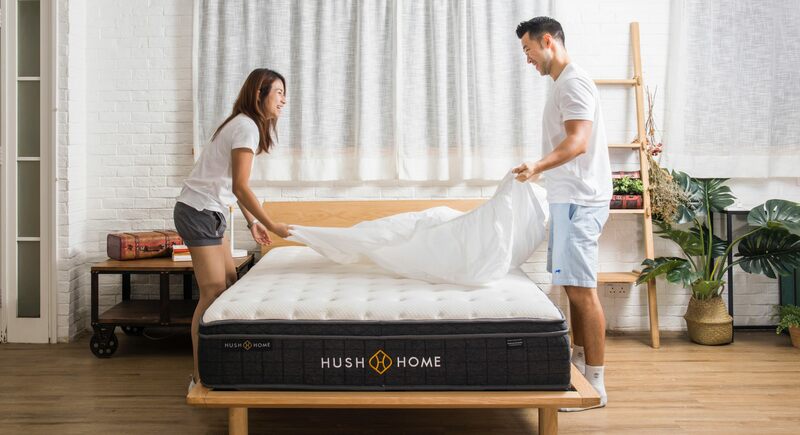 To husband-and-wife founders Rick Chen and Stephanie Huen, Hush Home is more than just a mattress brand, it’s a wellness philosophy that emphasises the importance of sleep, particularly in a productivity-obsessed city such as Hong Kong. “A lot of people might only think of health and nutrition when they think of wellness, so as a brand we want to create a high quality product and we also run workshops partnering with large companies such as Lululemon and Manulife. We teach their teams to improve productivity so that they are happier by being more well-rested,” says Huen. As part of the Home Detox Charity Campaign, the first 15 customers who purchase a Hush Home mattress by 10 February will be invited to bring a guest to a complimentary qigong meditation class, hosted at the Hush Home showroom on the afternoon of 16 February, 2019. As an online business, Hush Home is able to avoid the typical combined costs of retail markup, overseas transportation, store rent, sales staff, and so on. “Those combined things mean that mattresses in Hong Kong often sell for 12 times the manufacturing cost,” Chen adds. But what makes Hush Home different to existing direct to consumer, online mattress brands established in Hong Kong? The convenient boxed delivery that you often see on social media is a hint: “From a product perspective, a large difference is that those brands squeeze their mattresses into a box; they sell a boxed mattress. We don’t do that as we don’t want to sacrifice product quality. There are features in our mattress that you can feel that you can’t get with something that compresses. 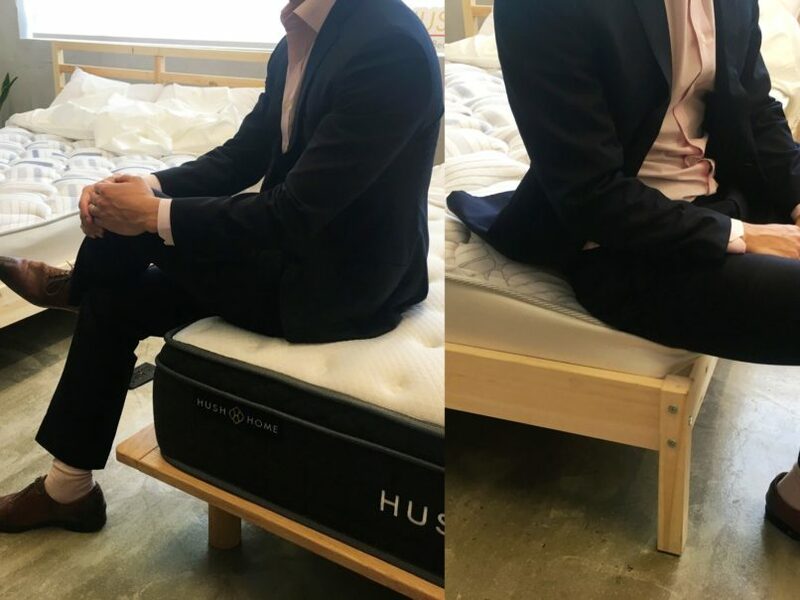 To judge how Hush Home mattress fares against other mattresses, we did a blind test comparing a Hush Home mattress, costing HK$7,400, and another one from a popular brand (hint: the name starts with the letter S), which costed upwards of HK$26,000. The edge of mattress A felt spongy, quite soft and comfortable with some bounce. It dipped around me as I was sitting. The top had an undulating crisscross pattern, indicating it had a tufted top — this usually means it’s a higher quality mattress as the top layers are stitched together and won’t shift. Mattress B was more solid when I sat on the edge, with less dip. I could feel some memory foam on the top layers, and it was also more clearly tufted with notches. Mattress B was also clearly thicker than the other, with seemingly two layers of material encased in a lot of foam. With mattress A, I felt like I was lying on a plate of jello; a very buoyant sensation. I couldn’t fit my hand behind my lower back, which means that it’s not too firm, nor too soft. Mattress A was significantly softer than mattress B. Here I felt very sturdy support, with the mattress pushing back flush against my lower spine. I can imagine some people would prefer softer cushioning around the pelvic area, however. I’m a side sleeper, so lying on my side on mattress A gave me a no very quickly — every little movement felt amplified as the mattress had a lot of bounce and cushion. There was no ‘hammock effect,’ where a softer mattress leads the spine to dip — contributing to an achey lower back when you wake up. With mattress B, lying on my side felt incredibly sturdy, maybe a touch too firm to what I’m used too, but thankfully I felt nicely wrapped and cushioned by a layer of memory foam. Co-founder Rick Chen showcasing the edge support of the Hush Home mattress after the blind test. Here came the fun part: testing the bounce of the bed. On mattress A, I could immediately feel the slats of the bed frame underneath, whereas with mattress B, the thicker dimensions plus a sturdier core within gave for more satisfying, elastic bounces. One annoying thing about sharing a bed is when you get woken up by your partner getting in and out of it. Demoing this effect, with mattress A I could immediately feel the tiny shocks and bounces of someone lying down and getting up next to me. I could see that getting annoying after a while (and potentially causing arguments!). With mattress B, this was still apparent yet muted when the other was getting in bed, but when they got out of it I was completely unaware — I was pretty shocked. 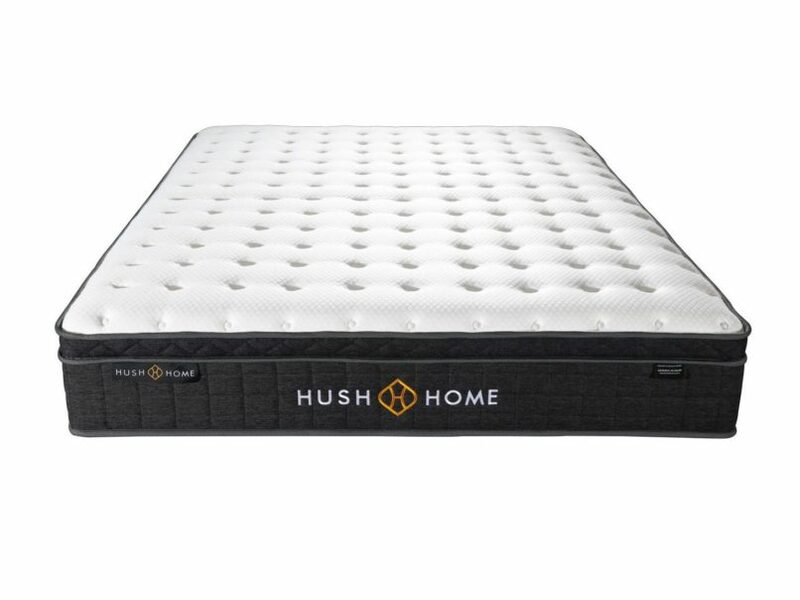 By this point I already had a strong suspicion which mattress was which: Mattress B belonged to Hush Home, and was easily my preference for its sheer sturdiness and comfortable memory foam top. A hybrid mattress, combining foam comfort with pocket-coils in the lower layers. Mattress A would instead suit those who strongly prefer soft mattresses — those who like to feel swathed in cushions. When we pulled back the sheets, we could see that the mattress also features handles on the sides, for ease of changing seats, as well as for rotating the mattress every three months to help distribute the weight exerted on it while you’re sleeping. 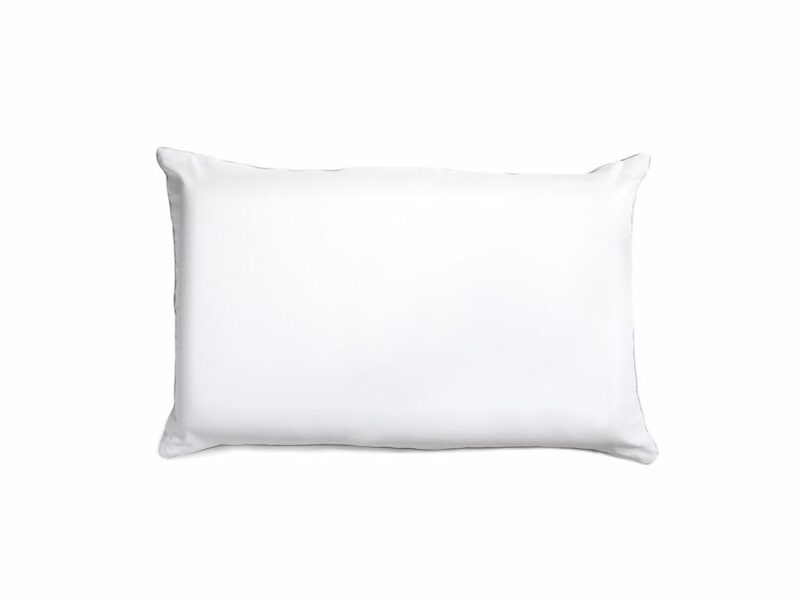 On the plus side, while I was testing both mattresses, I found myself truly enjoying the pillows and sheets: I was pleasantly surprised by the memory foam MiraclePillow — I was used to inexpensive memory foam pillows that were often too solid and gave too much height for my preference. Hush Home’s was covered in a layer of microfibre, which gave a superb feathery softness to its outer. If you’re looking to replace your older mattress with something that promises five-star comfort, but not necessarily with the luxury price tag, perhaps Hush Home’s mattress and bedding will spark some joy in your life.